A simple and sober looking place with warm and cozy rooms. 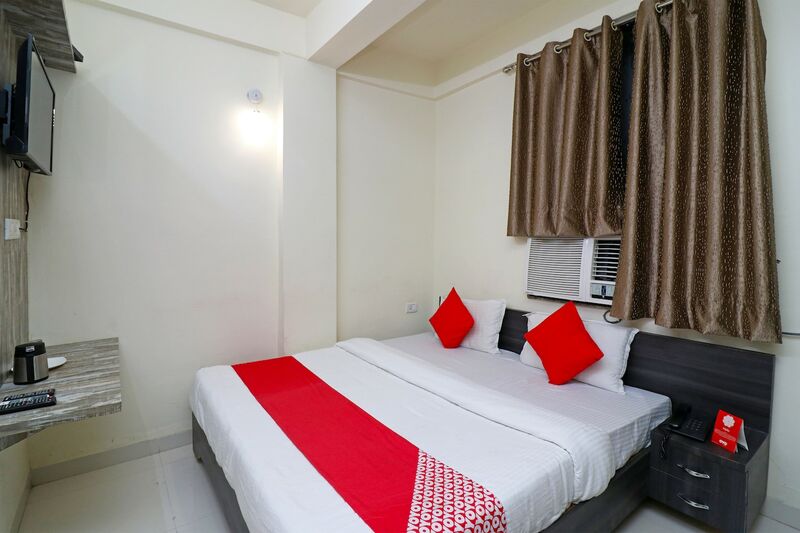 Hotel Hridaya Residency is a beautiful hotel with a cheerful and inviting ambience. The bedrooms at the hotel have a distinctive decor with walls painted a light color. Several paintings adorn the walls of the bedroom which along with the dark wood furnishings bring vibrancy to the rooms. The wooden panelling for the TV looks impressive as well. The hotel provides its guests with free Wi-Fi and power backup so that they may remain connected with the rest of the world. Other amenities offered by the hotel are a kitchen, a banquet hall and a refrigerator.